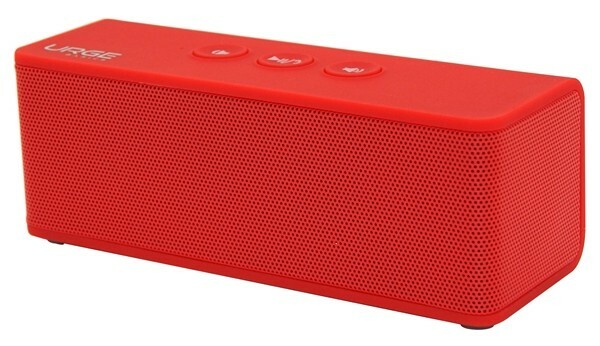 iTechDeals.com has Urge Basics Soundbrick Bluetooth Stereo Speaker w/ Built-in Mic (Red, White or Blue) on Sale for $26.99. Shipping is Free. Pump all the inspirational soundtracks stored on your Bluetooth-enabled devices through this streamlined brick speaker. Pair a smartphone with the speaker to seamlessly convert it into a speakerphone decked out with a one-touch answering button and built-in microphone. A nonslip rubber finish, available in five different colors, prevents the speaker from slipping off freshly dusted bookshelves and over the edge of freshly waxed canoes.